Many people judge themselves to be “food addicts” and this influences how much they eat. 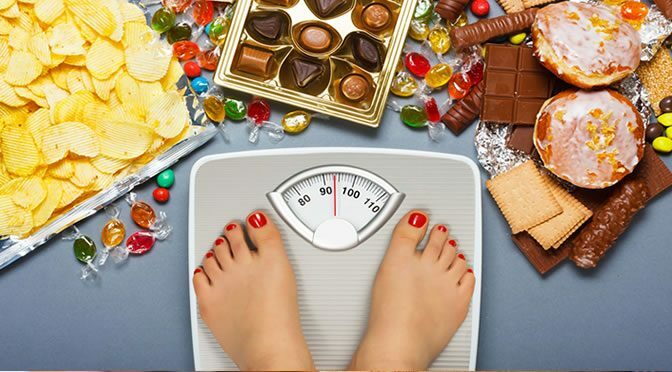 Food addiction can potentially lead to an unhealthy relationship with food and result in obesity. But scientists know little about how such a belief can influence weight management and dietary control. A new study, though, changed people’s food addiction beliefs to see how it would impact their eating. A series of computer tasks about food were completed by participants and they were given false feedback about their performance. The feedback told some people they had low levels of food addiction, some medium and some high — irrespective of their actual results. After giving people the feedback, those who were told they had a high score in food addiction went on to consume fewer calories than those told they had low or medium levels. Moreover, these participants were extremely worried about their eating behaviour. The consumption of unhealthy foods such as crisps and chocolate was also measured in a taste test. During the taste test, those who were told they were highly addicted to food spent less time on tasting the foods and consequently consumed less of the unhealthy foods. This finding suggests the power of beliefs. “Our research found that participants who believed themselves to be ‘food addicts’ reduced the amount of time they were exposed to unhealthy foods and ate less as a result. This appears to be because the perception of being a food addict made them concerned about their eating behaviour. Our study is first to show that personal beliefs about food addiction can influence how much we eat. The study was published in Obesity (Ruddock et al., 2016).